The Resource Center is located at the SHC/The Arc of Medina office. It offers adaptive medical equipment on loan, toy lending, and information and referral. 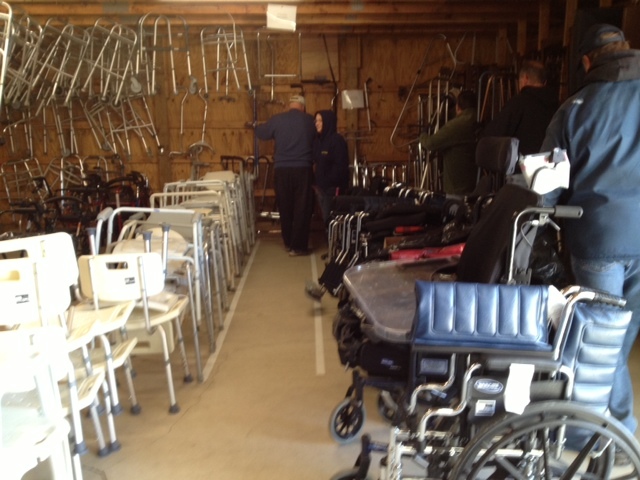 SHC offers a wide array of medical and adaptive equipment for loan (hospital beds, walkers, crutches, canes etc.) Items are loaned for a 30-day period which can be renewed. There is no charge, although donations are welcomed to assist with maintaining equipment inventory. The Resource Center houses a toy lending library filled with a wide variety of educational and switch adapted toys. Through this loan program, we hope to assist those who need adaptive toys, desire to try toys before purchasing, have children visiting or are unable to afford toys. Toy catalogues are available in all branch locations of the Medina County District Library and the Wadsworth Public Library. Toy orders can be placed with the librarian and delivered to the branch of your choice. Information and referral is provided through the Resource Center. • Are you looking for recreational activities for your child with a disability? • Do you need a support group for someone with a visual impairment? • Do you want to know what a Medicaid Spend Down is? • Are you looking for a Representative Payee? Our trained staff will assist you in connecting to the services needed. Contact SHC at (330) 722-1900 for assistance.